Please follow all of the LPS Grant Guidelines before applying. Guidelines can be found here . Fund for Teachers strengthens instruction by investing in outstanding teachers' self-determined professional growth and development in order to support student success, enrich their own practice, and strengthen their schools and communities. Teachers recognize that they must follow FERPA rules and district policies in reference to student data and information. Teachers who receive supplies, equipment, and/or materials from the Fund For Teachers grants and utilize those items in Lawton Public Schools classrooms must donate those items to Lawton Public Schools and place said items on their classroom inventory. It's almost that easy when you take advantage of Lowe's Toolbox for Education grant program. Lowe's Charitable and Educational Foundation (LCEF) knows how hard you work for your kids and your community and we're dedicated to helping your parent-teacher group achieve even more for your school. Apply for our Toolbox for Education Grant now and build on your already impressive parent group success with Lowe's. Alfred P. Sloan Foundation: The Alfred P. Sloan Foundation has a strong focus on science and technology. They believe that scholars and practitioners in scientific and technical fields are chief drivers of the nation's prosperity. Grants in the STEM Program promote access to the scientific enterprise, provide information about scientific and technical careers, and encourage innovation to the structure of scientific training. Heartst Foundation: The Hearst Foundations fund educational institutions demonstrating uncommon success in preparing students to thrive in a global society. The Foundations' focus is largely on higher education, but they also fund innovative models of early childhood and K-12 education, as well as professional development. The Hearst Foundation receive more than 1,200 grant requests annually. Of those, about 250 grant requests will merit further consideration based on the strength of their proposals and demonstrated outcomes. Kirkpatrick Foundation: The Kirkpatrick Foundation grants support to organizations with projects and programs that complement the mission of the Foundation, within its areas of interest: arts and culture, education, animal welfare and the environment. The Foundation considers requests from public and private educational institutions as well as faith-based educational programs. Priority is given to those organizations serving the Oklahoma City metropolitan area. Toyota USA Foundation: The Toyota USA Foundation is committed to enhancing the quality of K-12 education by supporting innovative programs and building partnerships with organizations dedicated to improving the teaching and learning of mathematics, science, and environmental science. Broad Foundation Educational Grants: The Eli and Edythe Broad Foundation is a national entrepreneurial philanthrophy that seeks to dramatically transform American urban public education so that all children receieve the skills and knowledge to succeed in collede, careers and life. CyberLearning Grants: The NEA Foundation offers many grants throughout the year to help meet the demands of an increasing digital society. The Foundation sponsors K-12 STEM grants, teacher, training grants, and digital literacy grants. Grants are ongoing throughout the year and are awarded on a first-come, first-served basis. Schools districts, schools, charter schools, community colleges, colleges, universities, non-profits, government agencies and corporations are eligible to apply. Description: The Lisa Libraries Foundation supplements under-filled bookshelves and provides books to children who may never have owned a book before. The Foundation donates new children's books and small libraries to organizations that work with kids in poor and under-served areas. To apply, send a letter about your organization, number of children served, age range of children served, and a breakdown of how the books will be used. Description: Each year, the National Book Foundation awards a number of prizes of up to $2,500 each to individuals, organizations, and schools that have developed innovative ways of creating and sustaining a lifelong love of reading. In addition to promoting the best of American literature through the National Book Awards, the Foundation seeks to expand the audience for literature in America. Through the Innovations in Reading Prizes, those individuals and institutions that use particularly innovative methods to generate excitement and a passionate engagement with books and literature will be rewarded for their creativity and leadership. Description: The mission of The Edward E. Ford Foundation is to strengthen and support independent secondary schools and to challenge and inspire them to leverage their unique talents, expertise and resources to advance teaching and learning throughout this country by supporting and disseminating best practice, by supporting efforts to develop and implement models of sustainability, and by encouraging collaboration with other institutions. Description: The Foundation provides funding in the following areas: religious, charitable, scientific, literary and educational programs in New York and the United States. In order to determine if your proposal is a fit for the Foundation, you must first submit a letter of inquiry. If the Foundation deems the request to be a fit and full proposal will be requested. Description: The purpose of an ASA grant is to support math enhancement programs that bridge the gap between the classroom and real world mathematics. The math enhancement programs should be for Grades 4-12 in U.S. public and private schools. Programs may include but are not limited to, clubs, competitions, before and after school programs, classroom extension periods, etc. Description: Digital Wish is a non-profit on a mission to help teachers solve technology shortfalls in their classrooms. All teachers who submit a technology-based lesson plan on Digital Wish will be automatically entered to win as many as 50 technology grants. Grants will be awarded on the 15th of every calendar month. Description: The Kinder Morgan Foundation believes that today's youth are tomorrow's leaders, and our mission is to provide them with opportunities to learn and grow. Their goal is to help today's science, math and music students become the engineers, educators, and musicians who will support our diverse communities for many years to come. To accomplish this goal, they fund programs that promote the academic and artistic interests of young people in the many cities and towns across North America where Kinder Morgan operates. Description: The small grants program is an outlet for organizations seeking smaller-scale assistance for non-educational focused projects. These grants range from $100 to $2,000. 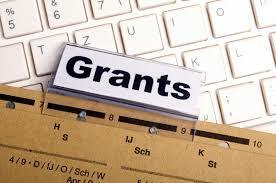 Small grant project requests must also fit within the Lowe’s Charitable and Educational Foundation guidelines. These requests are received on a rolling basis, with no specific cycle dates. Description: Kars4Kids is a national Jewish nonprofit organization that funds educational and youth programs in communities across North America. Our full suite of year round programs includes school placement and tuition assistance, mentorship and extracurricular programs, family retreats and summer camps. Our wide array of services is designed to impact every aspect of a child’s development, from the academic to the social to the cultural. Our holistic approach involves school, family and community working together to develop our youth into productive and engaged members of society. Description: The W.K. Kellogg Foundation supports children, families and communities as they strengthen and create conditions that propel vulnerable children to achieve success as individuals and as contributors to the larger community and society. Priority is given to providing resources for early childhood (prenatal to age 8) with a goal to increase the number of children who are reading and math proficient by third grade. Description: The Fordham Street Foundation supports efforts to close the gap in academic achievement between advantaged and disadvantaged youth. The Foundation seeks to fund effective nonprofit organizations committed to giving all children access to innovative teaching strategies and experiences that lead to improved academic performance and personal success. By investing in quality education we can build a better future for all children. Currently, the Foundation is limiting its review and funding to grant proposals that target minority academic achievement. Description: The Baker Hughes Foundation makes contributions to tax-exempt organizations qualified under Section 501(c)(3) of the U.S. Internal Revenue Code. Grants are awarded to eligible, non-profit organizations with priority given to charities that improve the social conditions in locations where we have strong employee presence. Contributions are generally made to organizations that target improvements in social sectors supporting education, health, youth, and culture. Description: Giving is limited to Oklahoma. Funds are granted primarily for education, particularly public schools, community programs and services, health care, and children, youth and social services. The initial approach is a Letter of Inquiry outlining the project and amount of funding requested. Description: Through its grant making program, the Noble Foundation supports community projects and the activities of nonprofit charitable, educational and healthcare organizations. The Noble Foundation has expended almost $1 billion for charitable purposes, including more than $300 million for grants to charitable organizations and scholarship programs. Before a formal grant application will be distributed to the requesting organization (for completion and return to the Foundation), the grant seeking organization must submit a letter of inquiry. The letter (usually approximately two pages) should summarize both the organization and the project for which a grant is requested.